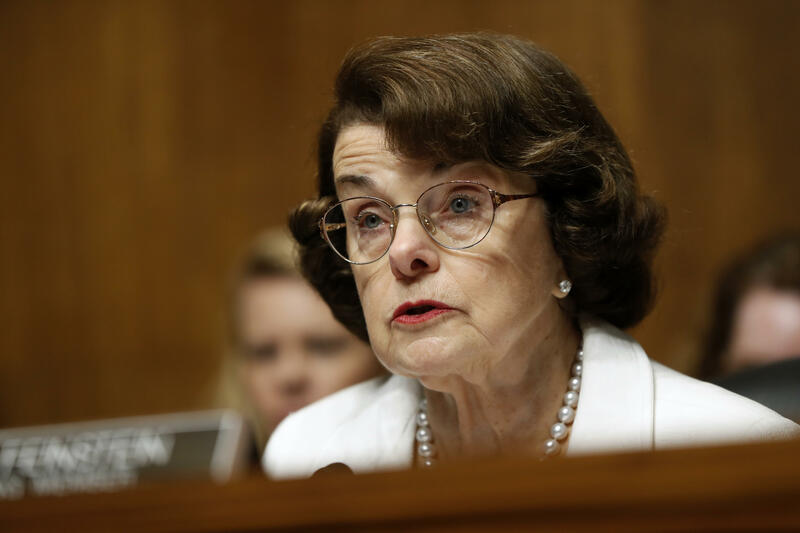 The top Democrat on the Senate Judiciary Committee, Sen. Dianne Feinstein, D-California, has referred a matter regarding Supreme Court Justice nominee Brett Kavanaugh to federal authorities, she said in a statement Thursday. "I have received information from an individual concerning the nomination of Brett Kavanaugh to the Supreme Court," Feinstein wrote. "That individual strongly requested confidentiality, declined to come forward or press the matter further, and I have honored that decision. I have, however, referred the matter to federal investigative authorities." Feinstein did not elaborate further on what the individual alleged. The Intercept first reported that a California constituent had written a letter describing "an incident that was relayed to someone affiliated with Stanford University." CBS News reports that the letter alleges an act of sexual misconduct involving Kavanaugh from when he was a teenager, according to someone with direct knowledge of the letter. A source with knowledge of the situation confirms the Intercept's reporting that this material initially came to Feinstein's attention through California Democrat, Rep. Anna Eshoo's office, which had received the information from someone at Stanford University. The FBI received the information on the evening of Sept. 12 and said it included the material "as part of Judge Kavanaugh's file, as per the standard process." White House spokesperson Kerri Kupec said in a statement, "Not until the eve of his confirmation has Sen. Feinstein or anyone raised the specter of new 'information'" about Kavanaugh. It went on to say that the FBI has "thoroughly and repeatedly vetted" Kavanaugh over a 25-year-long public-service career." "Senator Schumer promised to 'oppose Judge Kavanaugh's nomination with everything I have,' and it appears he is delivering with this 11th hour attempt to delay his confirmation," Kupec said. Kavanaugh's nomination was to receive a vote by the Judiciary Committee Thursday, but under committee rules, any member may ask for a one-week delay on the vote on a nominee. Democrats pushed for a delay, citing a lack of access to documents. Feinstein motioned to subpoena additional records from his tenure as staff secretary for President George W. Bush. Kavanaugh's committee confirmation vote has now been postponed until Sept. 20. Nancy Cordes and Jeff Pegues contributed to this report.